While my local shelter isn’t able to offer some of the perks mentioned in the story, they: A) are a no-kill shelter, and B) have a “Seniors for Seniors ” program, where adopters aged 60+ can adopt pets aged 5+ for free! I adopted my fabulous Maggie from them in August, and she’s a total delight! I’m 65 and she’s 5, so our life expectancies aren’t so horribly far apart. God bless these good folks! That’s great to hear Carol. There are some shelters with special programs where adoption fees are waived and free yearly vet visits and included. Another option not mentioned is fostering. Props to Cheysuli for coining the phrase “Vintage Kitties”. Every kitty deserves a home filled with love and food and care! 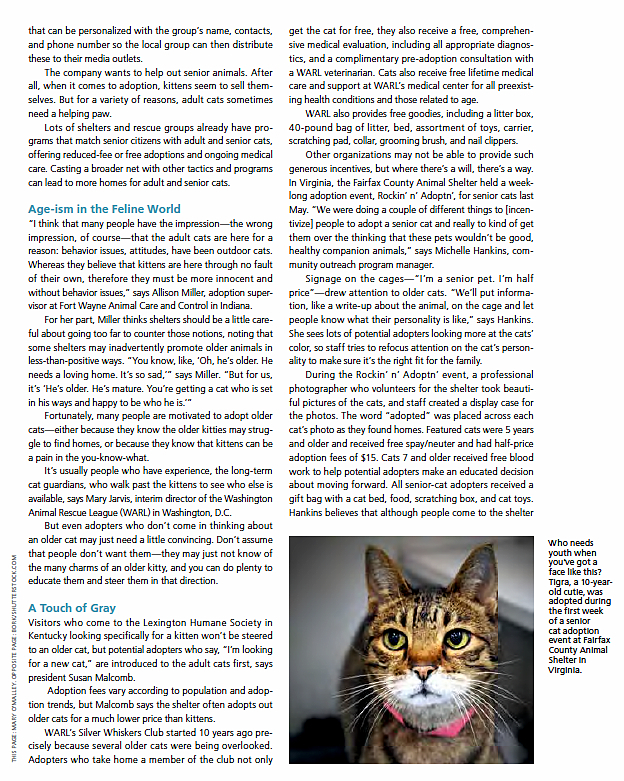 Sadly here in the US cats are not the only ones that are overlooked when they get older. Sadly our culture also overlooks older people as well. I absolutely love the “Vintage” Kitty idea. There is beauty and love at every age we only have to open our eyes and hearts to see it. Wow, that Lexington Shelter looks amazing! 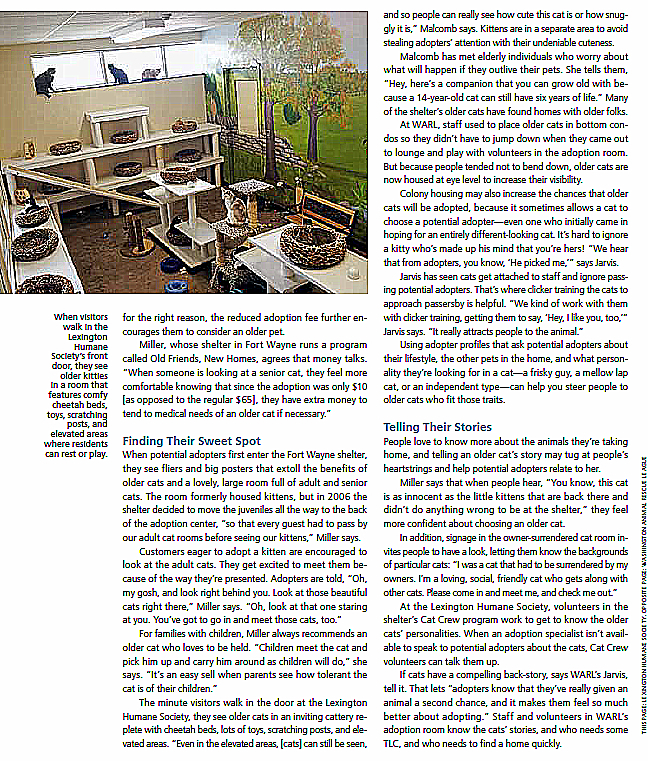 Thank you for sharing this wonderful article, Layla. We adopted our sweet senior Sammy when he was about 13. He’s been with us for more than 6 years, and we love him so, so much. that lexington shelter iz ROCKIN !!!! N seniorz are way kewl; tho it wood still be nice if we could get sum social secatity N medi cats benny fits…. 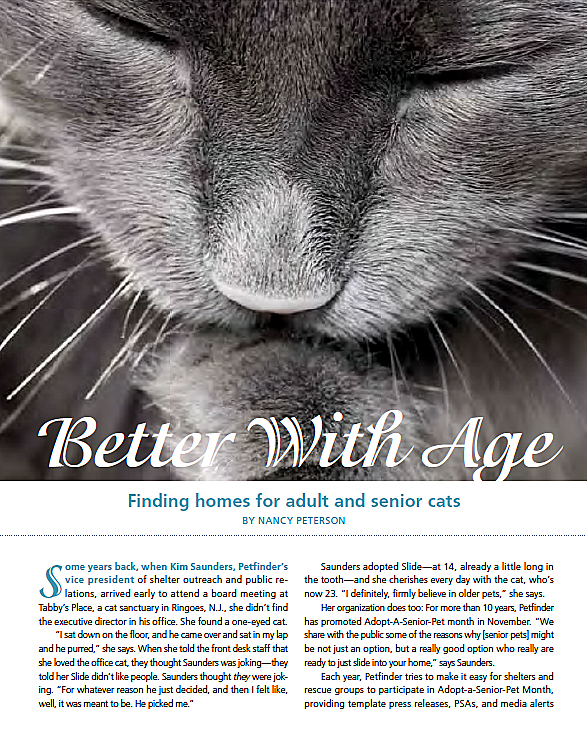 Great article and while we just adopted a rescue kitten, the seniors really need a chance too and we hope that articles like this and people sharing success stories will help more senior cats find home. I have also found that I post I did the other day on tips as to how to acclimate a new cat into an existing cat household has done wonders to inform people who were otherwise hesitant to do so. My little Kizmet has become an ambassdor for adoptions and we could not be prouder!! Our local shelter has 50% off “Vintage Kitties” this month in their honor so that they are adopting out more older kitties. Vintage kitties! What great idea. I love the seniors and they so deserve the love…every single day. Love all the kitties. Ched, Mao and all my former kitties agree. And kittens are difficult. People and cats have been buried together for more than 12,000 years. 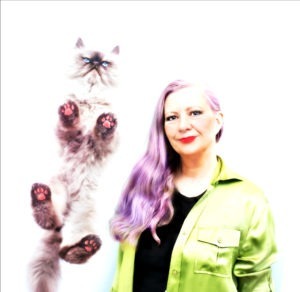 People and cats belong together. Happy Adopt A Senior Pet Month. We’ve adopted quite a few senior cats and they’ve all been wonderful. They tend to be sweet, mellow, and polite. They also tend to be very appreciative and seem like they belong right away. If kittens are in the household, they’ll usually taking care of them as their own fairly soon after they arrive. They are good companions from the start and deserve to spend their last years in a good household. 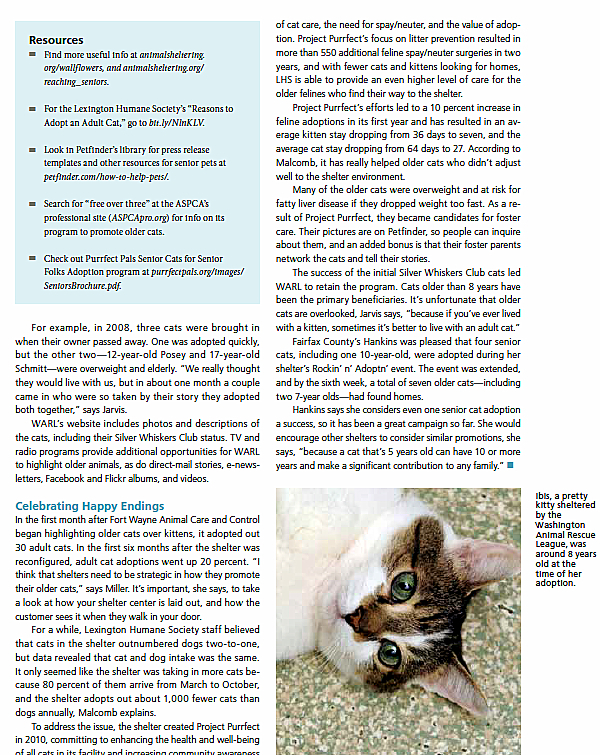 Nice to see that some good organizations are showcasing senior cats in such a good light and providing extra goodies and services to anyone who adopts a senior cat. They have my appreciation.